Today’s episode is all about waterfront history. 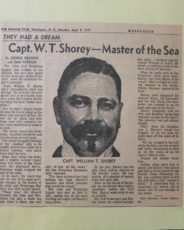 The first segment covers the only Black whaling Captain in California history: William Shorey. The media called him “Black Ahab” and his adventures made him an Oakland hero. He was one of the most powerful men of color in California—but there’s a complicated side to his story that’s rarely discussed. This episode weaves together histories of slavery, whaling and a flood of African American sailors into the Bay Area during the 1800s. 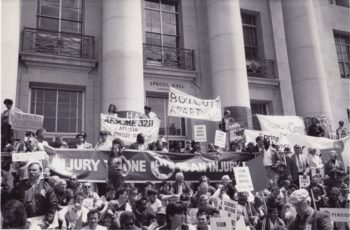 The second segment features an interview with Peter Cole, author of “Dockworker Power: Race and Activism in Durban and the San Francisco Bay Area.” Professor Cole’s book focuses on the ILWU’s Local 10, one of the Bay Area’s most politically active unions, so we discuss strikes, automation, civil rights solidarity actions, the anti-apartheid movement and much more.